Hi, we are Morris and Miley. We are a sweet pair of older kitties about 11 years old. We were surrendered because our owner moved and couldn't take us. We are both very sweet and love attention. Our previous owner had us both declawed. We both don't like dogs, we are looking for a forever home where we can be together, but without any dogs. Also note: Morris is missing his front left leg, but that doesn't stop him from getting around without any trouble. He also may have an allergy to chicken and beef, so he is on a seafood based to diet. 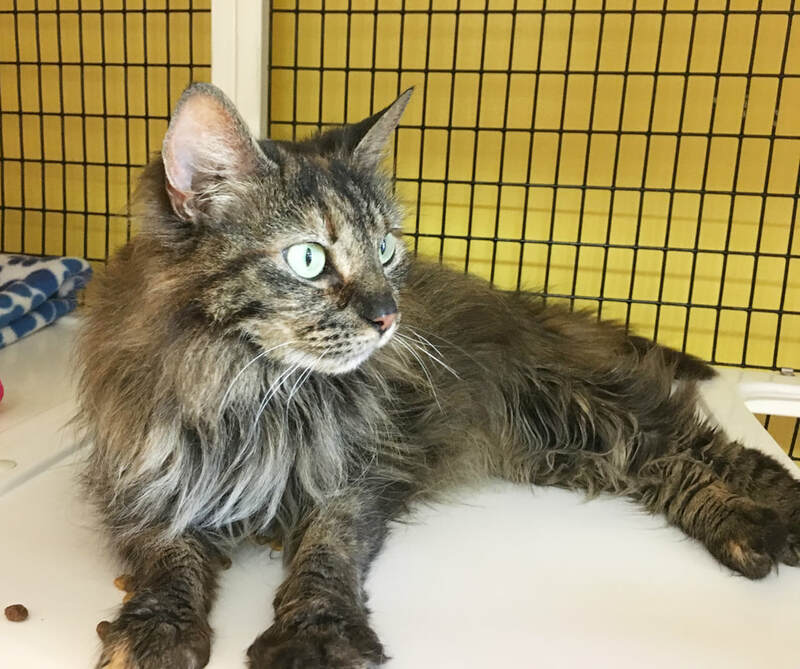 If you are interested in adopting us (or any other cat at Kingdom Animal Shelter), please complete an adoption application and authorization for release of information form. Once completed, you can bring them to the Shelter during adoption hours or email them to adoptions@kingdomanimalshelter.com or mail them in to P.O. Box 462, St. Johnsbury, VT 05819. 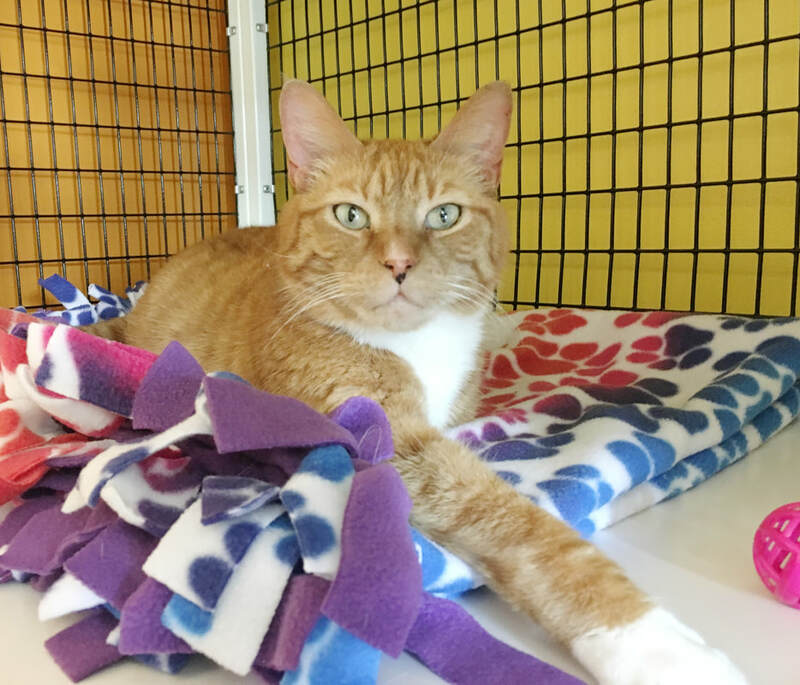 The application and release of information forms are available on our 'Available Cats' page or you can pick them up from the shelter during adoption hours. An adoption counselor will review your application, contact 1-2 personal references and contact your veterinarian for a reference. Additionally, if you are a renter, we will contact your landlord for permission to have an animal in the household. Please allow at least 3 business days for the process to be completed. After the review is complete, the adoption counselor will contact you, generally by email or by phone and you will be notified if your application is approved or declined. If the application is approved, you will work with the adoption counselor to work out a mutually agreed upon time and date for you to take your cat home.